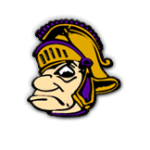 Gladiators News · Oct 19 Gavit High School/Middle School Winter Student/Athlete & Parent Meeting – November 1, 2018 @ 6:00 p.m.
Gladiators News · Oct 8 Gavit High School Fall Sports Banquet – Monday, November 5, 2018 @ 6:00 p.m. The Gavit HS Girls Soccer Team will be in action on Thursday, October 4, 2018 as they begin sectional action vs. the Griffith Panthers. The game will be held at Highland HS and begins @ 7:00 p.m. The Gavit Varsity Boys Soccer Team will be in action this evening as they take on the Panthers from Griffith HS. The game will be held @ Griffith HS and begins @ 5:00 p.m.